finPOWER Connect Cloud is the up-coming Web-based version of finPOWER Connect. In this first Blog article, we will introduce finPOWER Connect Cloud and give a basic overview of its functions. 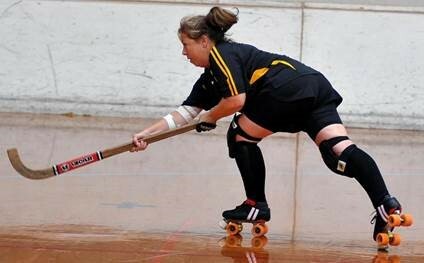 New Zealand was the host to this years 'Trans-Tasman Cup' Roller Hockey tournament, which included a Ladies team for the first time in ten years. This game is not to be confused with Roller Derby, as it is played with sticks, very hard balls and is supposed to be non-contact. It all started for me at the National Roller Hockey Tournament for 2015 which was late and held in April of this year. This allowed me to brush off my skates, train some newbies, and enter a team from Hawkes Bay. Not only did Hawkes Bay win the Ladies division, but three of our players were included in the National squad to train for the upcoming Test Series against Australia. Many training weekends later, the National Team was named and included all three of the Hawkes Bay representatives. 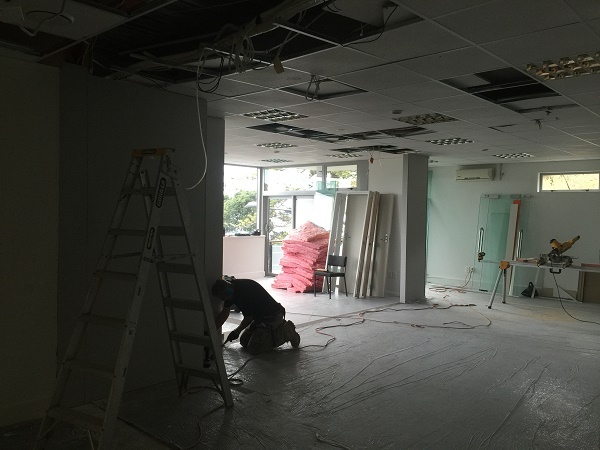 These are exciting times for Intersoft with the expansion of our Napier facilities. Our office space is sufficient for the current staffing levels but limits us for any future growth. The decision has been made to take over more space in our existing building. Available from finPOWER Connect version 3.00.00. You can now easily handle Time Zones within finPOWER Connect - especially important for Australian Users. Without a Time Zone, a "date and time" could mean different things depending where you are. Midday in Sydney is 10am in Perth. Daylight Savings also complicates date and times. So, now when you are entering a Date and Time you can include a Time Zone as well. The Finance Expo is only 3 weeks away. Have you Registered yet?? If not, then Register here. The Finance Expo is a NZ first that brings together the leading technology specialists of the finance industry along with regulators and key service providers in an informative, free ½ day session. The Finance Expo will give each of the technology specialists, regulators and key service providers an opportunity to showcase their offerings and update the attendees on the latest advances, news and developments that directly affect their industry and their business. The presentations will be followed by an informal get together to allow further discussion of the matters presented or associated topics. The ability to bookmark records has been added to finPOWER Connect 3. We have made a number of guides and documents available on our website aimed at developers wishing to create Scripts, Web Services, Page Sets and Account Applications via our Business Layer. Code snippets are small blocks of reusable code that can be inserted into scripts, providing you with small code samples covering a range of Business Layer functions. To view the available snippets, simply click the snippet icon in the toolbar at the bottom of the Script Code page. The snippet code can be copied to the clipboard or inserted directly into your script by clicking the appropriate button on the Script Snippets form. Please note, snippets can only be inserted when the script is in Edit mode. We have recently added several new code snippets, see knowledgebase article 13526. Many more snippets will be added in finPOWER Connect version 3, due for release later this year, so if there is anything that you would like to see included then please let us know at support@intersoft.co.nz.